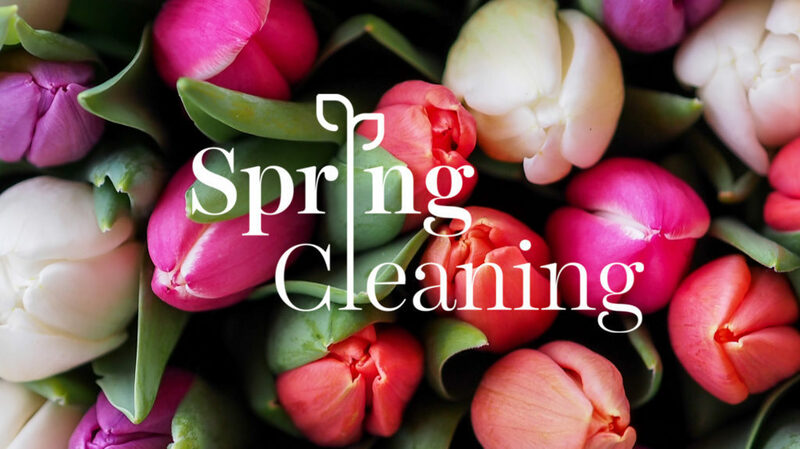 This Spring, Inman is obsessing over helping you tune-up your business with actionable insights, the best advice from top agents and hundreds of helpful stories from all over the world. Interested in sharing your advice and insights with us? Reach out to me at matthew@inman.com. Don’t forget that we’ll also be focusing on how agents and brokerages can all move Faster, Better, Together this July at Inman Connect San Francisco. Not got your ticket yet? Buy it here, and remember that Select members get a $100 discount. Thinking of bringing your team? There are special onsite perks and discounts when you buy those tickets together too. Just contact us to find out more. Many years ago I wanted to be the #1 agent in Berkeley. We never were, but typically in the top 5 percent of agents as measured by sales or number of transactions. One day I realized I’d rather be the happiest agent in Berkeley, and I shifted focus from growing my business to having a great life funded by having (more than) enough business. What are the three most effective things you do every day to grow your business? I’ve found the day goes better when I start by planning, reading, thinking and journaling. So the three most effective things I do are to prepare for the day in the morning. 2. Read. Usually about design, photography, architecture or travel. What tactics do you use for driving referrals and winning listing presentations? Prepare a pre-list package (first heard from Howard Brinton and Walter Sanford). Basically, we explain to sellers what we do and how we do it — print and online marketing, negotiation skills, professional photography, superb organic Google site placement, etc. The goal here is to answer their questions before they ask them. Also, we’ve donated photos to Berkeley school and organization fundraisers for many years. Berkeleyside.com, a hyperlocal information site, has used over 100 of my Berkeley photos over the years. This year, inspired by a question Anthony Marguleas asked me (“When are you going to do a book of your photos?”), I finally created a book, and I’ve donated a copy to two dozen fundraisers in the past few weeks. Referrals come in several forms: client, real estate agent and vendor referrals. Most people talk about getting referrals from clients, but agents, too, should focus on giving business away to other local agents. ∏ = 3.14: We celebrate at a local pizza place on March 14. We just had our 2018 Pi Day and gave away 150 slices of pizza. We invite friends, clients, potential clients and whoever else might be interested. Then I “work the line” greeting people, hugging them and taking pictures. 2∏ = 6.28: We’ll plan another event on June 28. Thanksgiving Pie: For many years, we’ve celebrated Thanksgiving by giving away apple and cherry pies. Leslie McDonnell first told us about it. Last year, we held the event at Spenger’s, a local Berkeley institution, and gave away about 50 pies! We’ve also held the event at our home. Most agents are focused on increasing their business, but our focus is in giving much of it away in the form of referrals to other agents. About 10 percent of our income is referral fees we receive from other agents … and that funds our travels and adventures. We are licensed to sell all forms of real estate throughout California, and we do. We just have three requirements: 1) the clients have to be nice, 2) they should want to buy within about three to five miles from our home, and 3) they should be able to afford the median priced home for the location and bedrooms they want. We refer just about all other business to fellow agents. The downside here is we lose that client’s future business, but the upside is that with a three-minute phone call or email, we receive 20-26.89 percent of the gross commission. Our average referral fee is about $6,000. Not all close, but the ones that do earn us about $2,000 per minute (or $120,000 per hour). Lets say the team splits the incoming commission 50/50, then pays operating expenses of 20-30 percent, netting 35-40 percent of the commission. That leaves them with 70 to 80 percent of 50 percent. The team takes on all the work and responsibility. I receive 20 percent or more of the commission, and just have to invest three minutes to deposit the check in the bank. We’ve developed personal working relationships with highly qualified agents nationwide. I’m designated schmoozer, and have connected through CRS, Patrick Lilly’s Real Estate Success Rocks, Re/Max, Pacific Union, CyberStars, CyberProfessionals and many other local and national organizations. We sold a brick house near Berkeley’s Hayward Fault. 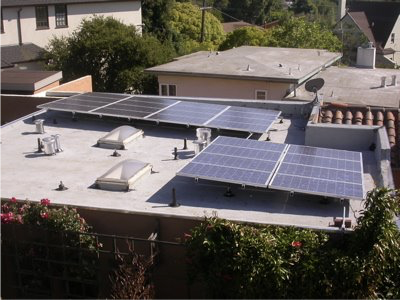 I asked the buyer what he did — he installed solar hot water systems for a local Berkeley company, so we used that company to install a 24-panel photovoltaic system with battery backup and ended up selling a home to the engineer who installed our system … and also to two of his wife’s college friends and their family! That paid for our system many times over, and our estimated electrical bill for the entire year is projected to be $525. Carol was born in Newcastle Upon Tyne, so she has a gardening gene. We hired an excellent gardener who referred us to a homeseller he also worked for. 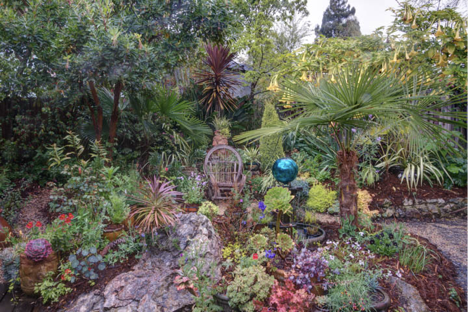 We sold that home for the highest price in Albany, California in over seven years … enough to cover our garden’s cost. How do you handle working with sellers on pricing? I immediately address the elephant in the room: Zillow. I’m trained as a chemical engineer, so I find it easiest to do it with graphs and charts. I already have an idea how Zillow values compare to the likely sales price, so that helps me know if they’re realistic. 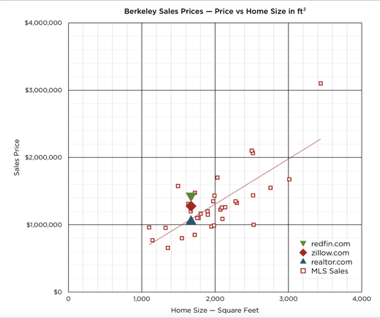 I create a graph showing actual sales prices from the MLS versus home size in square feet, and add automated valuation values from Zillow, Redfin and realtor.com. There’s definitely a trend … and also scatter in the data. That’s one reason the Zestimate differs from actual sales prices. There’s also a correlation between how many offers a home receives and the overbid. This graph is a composite of over three hundred Berkeley sales. 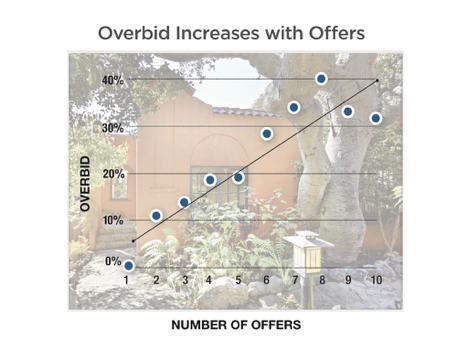 Each data point is the median overbid for that number of offers. I use this information, and the approximate sales price, to help determine the optimal list price. It’s one which is acceptable to the seller and also a price which is likely to generate multiple offers and overbids. 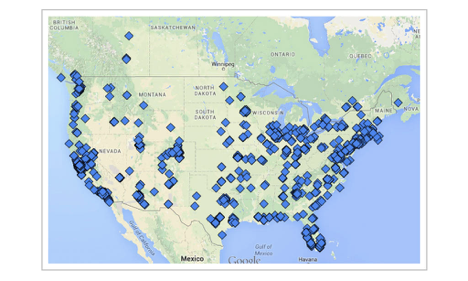 Cloud CMA is very useful for comparing actual sales prices from Zillow’s Zestimates. I looked at several dozen 2017 sales and found that the estimate was higher than the actual sales price 92 percent of the time . As Jay Thompson of Zillow might say, it starts the conversation. What’s the best piece of advice you ever heard? I knew that when I was 80 I was not going to regret having tried this. I was not going to regret trying to participate in this thing called the Internet that I thought was going to be a really big deal. I knew that if I failed I wouldn’t regret that, but I knew the one thing I might regret is not ever having tried. I knew that that would haunt me every day, and so, when I thought about it that way it was an incredibly easy decision. 1. If I don’t do this, will I wish I had? 2. If I did do this, will I wish I hadn’t? And I always know what to do. If an agent should stop doing one thing today, what would it be? Stop searching for balance … strive for harmony. When a speaker asks an audience if they’d like more balance in their lives, I’d bet just about every hand goes up. Everyone seems to be seeking balance in their lives, so I’ve come to the conclusion that few have it, which means it doesn’t exist. Perhaps it’s a fiendish concept devised by therapists to make people feel guilty and thus get more clients. So just stop searching for balance! Think of a pendulum. Move it off to one side and it swings through the lowest point and then rises almost as high on the other side. The pendulum swings each way until it finally reaches equilibrium. In other words, there are times when you need to devote more attention to one aspect of your life — family, kids, school, work, play, enjoyment — and less time on the others. Recognize that it’s happening, and do what you have to do. Once you’ve finished, swing back to take care of the the other aspects of your life. If I say yes, will I wish I’d said no? If I say no, will I wish I said yes? Do this and you’ll know the answer! Want to connect with Ira? You can find him on Facebook, Twitter and LinkedIn.